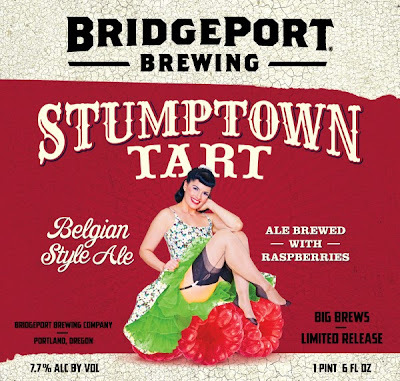 BridgePort Brewing Co. just announced the featured fruit for the latest installment of Stumptown Tart. This year, it's all all about the raspberry. The brewery is holding a release party on Thursday, May 20 at their brewpub in NW Portland. Stop by, take a selfie with model Bernie Dexter, and sample the new release. I haven't tasted it yet, but I was a huge fan of last year's installment which featured cranberries and blueberries. For more details about Stumptown Tart and the release party, check out the news release below. “It’s hard to believe that we have been making this beer for eight years now,” commented brewmaster, Jeff Edgerton. “We knew it was only a matter of time before we would want to bring back a fan favorite like the rasp."